Lovely property, ideal equestrian facility. Not far from L'Absie town centre. To renovate entirely - A charming blank canvas! 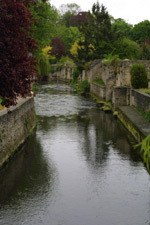 The small town of Parthenay, located in northern Poitou-Charentes, has a population of just over ten thousand and is considered one of the most beautiful parts of the Thouet River. It used to be a popular stopover for pilgrims making their way towards Compostela. Nowadays a whole range of people are to be seen making their way here for the weekly cattle market. There's a great deal of history waiting to be explored in the town. 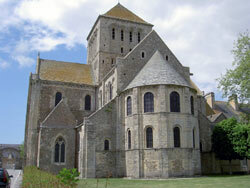 The highly attractive Romanesque church of St-Croix offers a splendid view over the ramparts. The council has restored many medieval houses throughout the town centre. Some of the best are to be found in the gully of St-Jacques. Some more Romanesque architecture is evident on the site of the Notre-Dame-de-la-Couldre. This was once the chapel for the castle. The castle itself has not withstood the test of time - only a few ruins are testament to what once stood here. It's well worth a trip, however, as the rocky outcrop gives fantastic views of the Thouet river winding its way through the countryside. If you've gained a taste for Romanesque architecture then there are three more churches in the style not too far away. Twenty kilometres to the northeast there is one in the town of Airvault and then another 20 km further on you'll discover the 16th Century Chateau d'Oiron. The third one is a mere twenty minute walk from Parthenay in Parthenay-en-Vieux. A mounted knight is one of the many sculpted images that greet you upon arrival. GB Airways, Flybe and Air France all operate flights to Nantes from Gatwick. Ryanair fly to Tours, La Rochelle and Poitiers from Stansted. British Airways fly to Nantes from Heathrow. The excellent TGV service will take you from the Channel Tunnel to Poitiers via Paris. Property around the town remains good value for money. There are still a number of renovation properties on the market. At the time of writing we have a large country house for €167,000. Hi - I am looking to get in touch with anyone from the town council, specifically anyone who has knowledge of the history of Parthenay. Can anyone help? Would be much appreciated. Do you know Parthenay better than we do? Do you have photos of Parthenay? Located in the centre of the Deux-Sevres department, within Poitou-Charentes. Access: The nearest airport is La Rochelle while the nearest TGV station is Poitiers. Economy: Cattle raising has always been the traditional livelihood. Interesting fact: The ambitious local council is bringing the town into the digital age by providing everyone with free internet access.